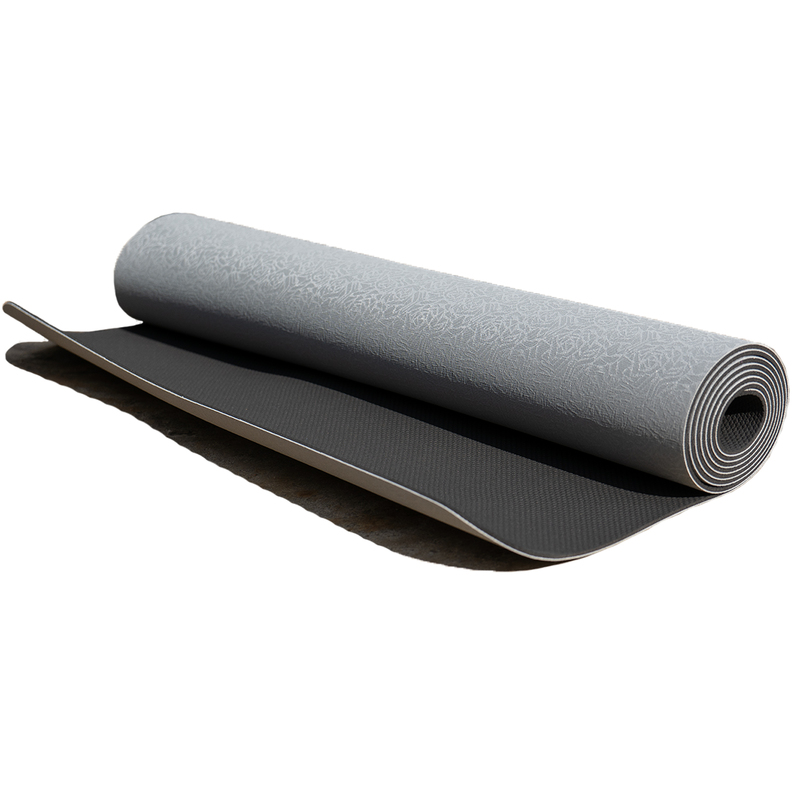 The Eco Lite Yoga Mat combines the durable and lightweight properties of skidless eco-friendly TPE (bottom layer) with the highly tacky, closed-cell nature of natural tree rubber (top layer). And, at 2.5 pounds, we are sure this is the lightest weight natural rubber yoga mat on the market! Because this is a Yoga Direct brand product, you can expect affordable, wholesale prices in a long-lasting, effective yoga mat. Grey top/black bottom color scheme is highly versatile. The top features a subtle, grey-on-grey geometric rose pattern. Bottom layer is textured. Rounded corners will help keep this mat locked into the ground. Product is only 3 mm thick, making this the perfect travel companion to any collection of yoga accessories. 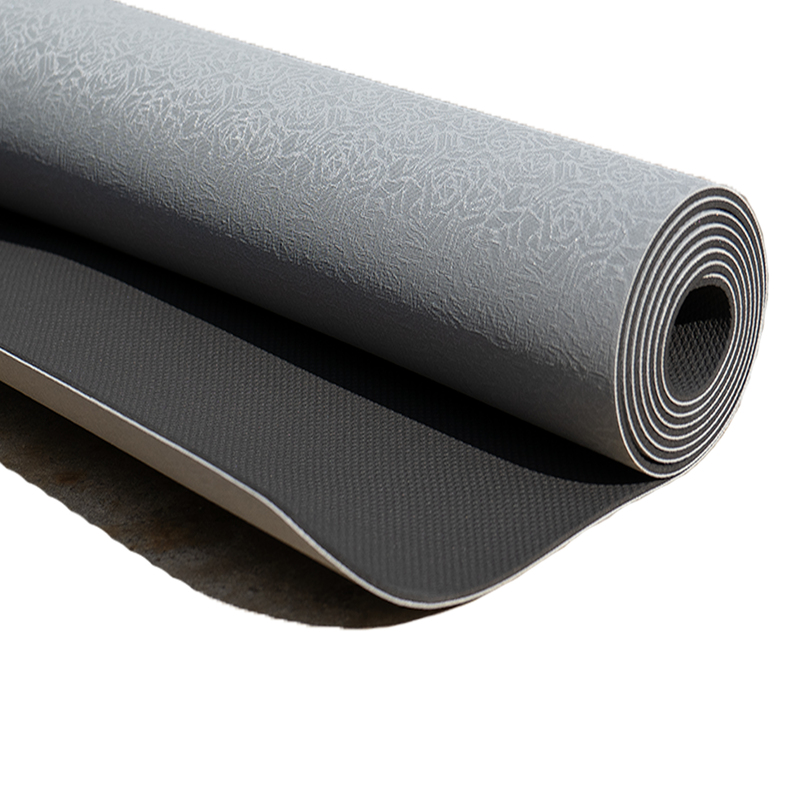 The Eco Lite Yoga Mat combines the durable and lightweight properties of skidless eco-friendly TPE (bottom layer) with the highly tacky, closed-cell nature of natural tree rubber (top layer). And, at 2.5 pounds, we are sure this is the lightest weight natural rubber yoga mat on the market! Because this is a Yoga Accessories brand product, you can expect affordable, wholesale prices in a long-lasting, effective yoga mat. Grey top/black bottom color scheme is highly versatile. 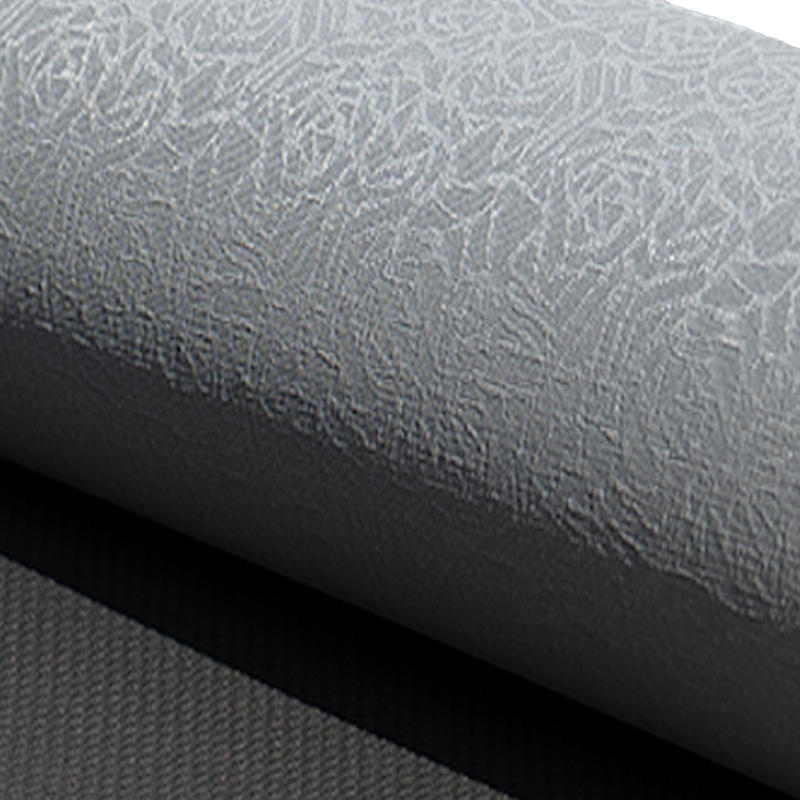 Top features a subtle, grey-on-grey geometric rose pattern. Bottom layer is textured. Rounded corners will help keep this mat locked into the ground. Product is only 3 mm thick, making this the perfect travel companion to any collection of yoga accessories.